After a long series of disputes, diplomatic relations between Japan and China are finally on the mend. In order to properly celebrate this alliance, the Chinese Emperor gifted to his Japanese counterpart a sacred animal, a Giant Panda bear, a symbol of peace. The Japanese Emperor has entrusted his court members (the players), with the difficult task of caring for the Giant Panda by setting up a bamboo plantation. 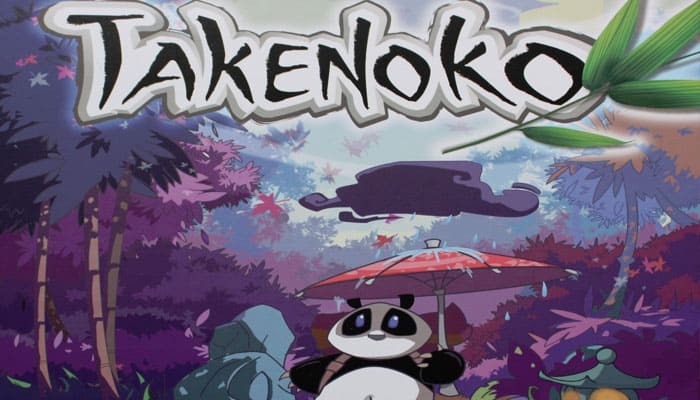 The players take the role of courtesans and will cultivate the land plots, irrigate them and grow one of the three species of bamboo (Green, Yellow and Pink) with the help of the Imperial gardener. They will have to bear with the ravenous hunger of the sacred animal for the juicy and tender bamboo. 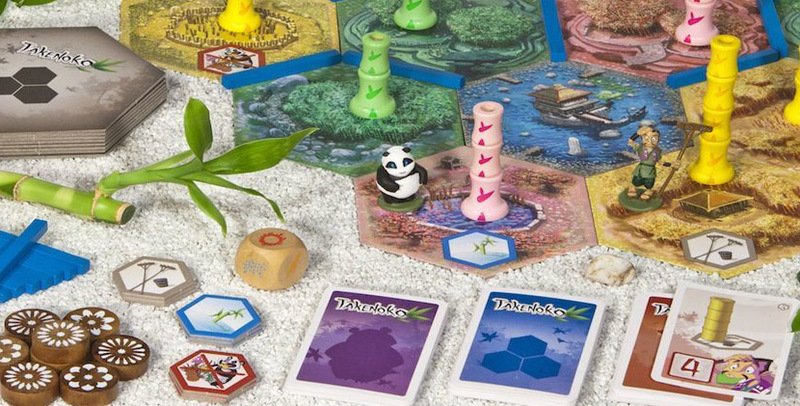 The player who grows the most bamboo, managing his land plots best while feeding the delicate Panda will have a big chance to the game. The game ends when a player has completed 7 to 9 objectives and the player with the best scores is the winner. Be sure to take a plot during your first turn: you will need a piece of land in order to start working. You can store the irrigation channels. Use this option! You will see that water can run out quickly during the game.